Teen giving 500 Easter baskets to kids in need. 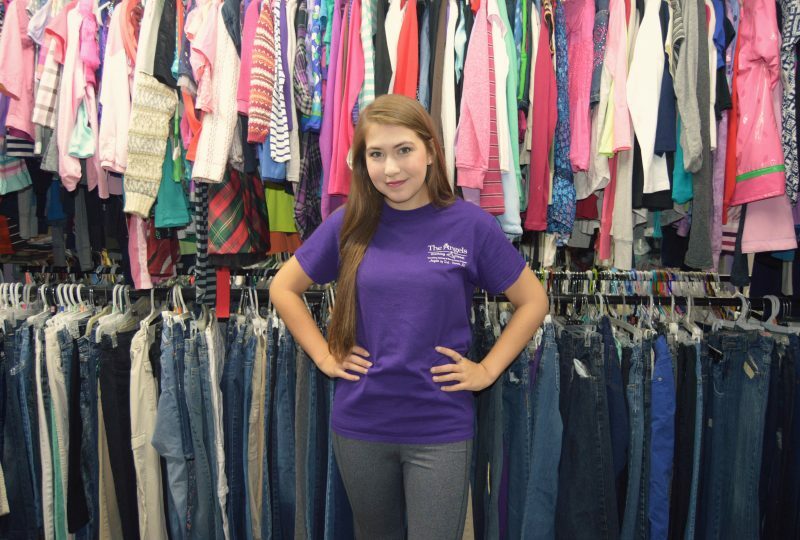 For almost six years, Katelyn Darrow has devoted herself to Angels of God Clothing Closet, the nonprofit she founded that provides clothing, toiletries, and baby supplies to those in need. 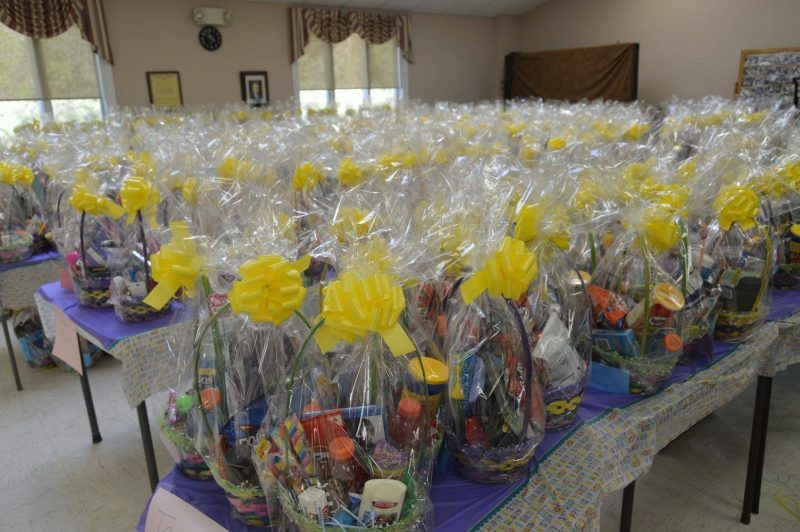 This year, the Pitman resident has another ambitious charitable goal: to assemble at least 500 Easter baskets for children and teenagers in need. Darrow, an 18-year-old senior at Pitman High School, splits her time between school and her nonprofit through her high school’s work-study program. 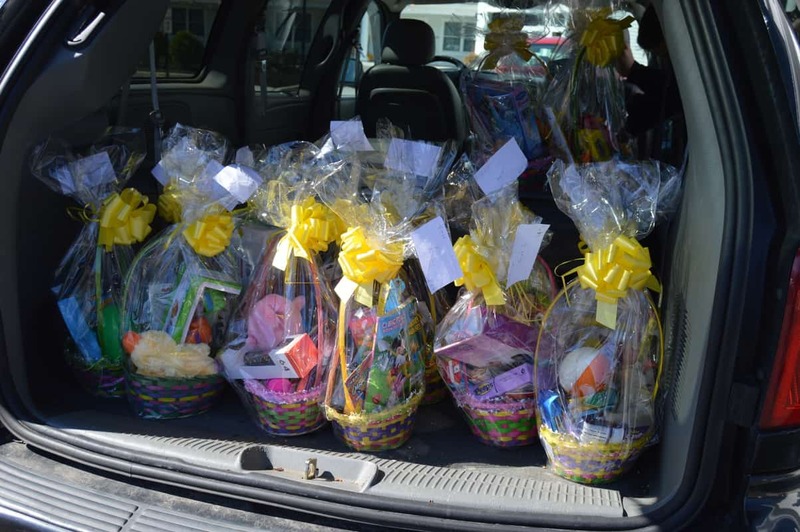 Through her charity work, she said, she learned that Easter baskets often are in short supply. “A lot of organizations do Christmas drives and tend to forget about Easter,” Darrow said. As an extension of her nonprofit, Darrow is collecting Easter basket supplies for children and teenagers in need. Angels of God is supplying the baskets, but Darrow is relying on donors to provide the goodies to fill them. The nonprofit is seeking candy and other treats, books, DVDs, gift cards, makeup, and small toys. This year marks her largest Easter effort to date. Darrow’s mother, Elissa Darrow, said her daughter assembled 25 Easter baskets in 2010, and the number has steadily increased each year. This year, Katelyn Darrow placed a bulk order for 500 identical Easter baskets. She said experience has taught her the importance of keeping everything uniform, so that recipients feel equally appreciated. 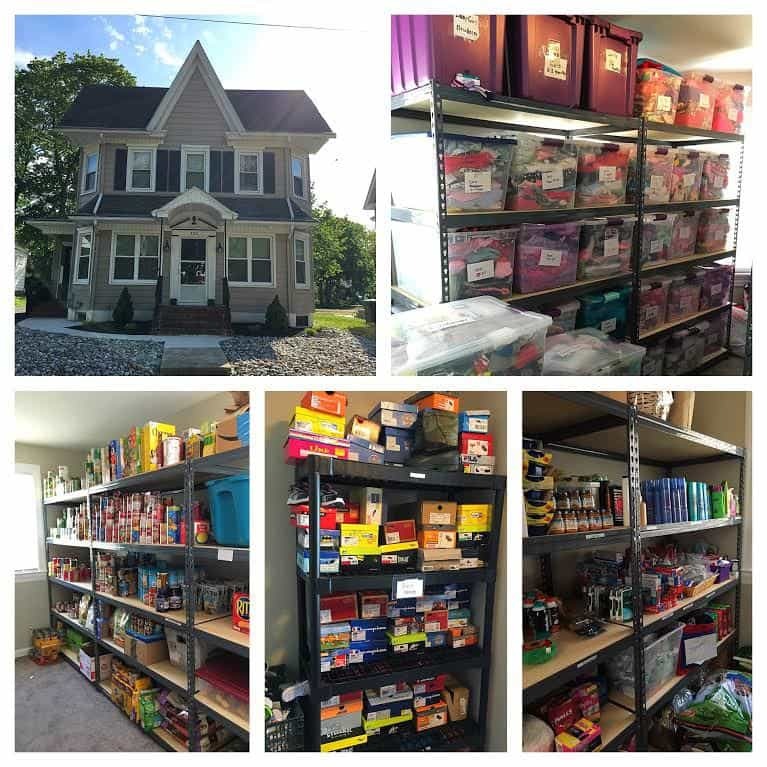 Elissa Darrow said parents in “financially tight” situations are relieved when their children receive a basket – a sentiment echoed by Grace Kier, a 14-year volunteer at the Pitman Pantry, one of the distribution points for the baskets. Kier, also a Pitman resident, said often parents are so grateful they’re in tears. She said the baskets are lovingly crafted. “Katelyn and her mom just do beautiful, beautiful baskets,” Kier said. Kier said she can imagine how children’s days are brightened when their parents bring the baskets home. 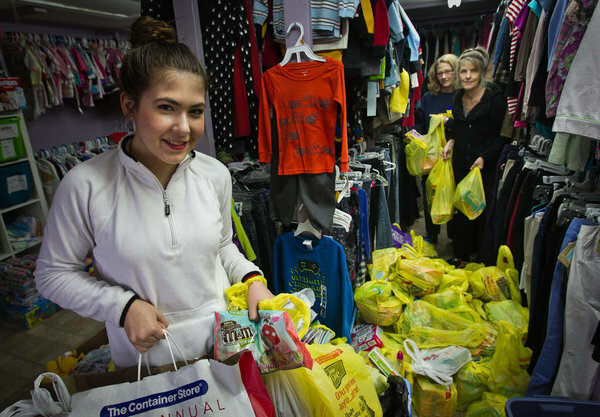 The yearly drive is a family project, with Darrow’s mother and sisters Lindsay, 23, and Brenna, 13, joining her to fill the baskets. This Sunday, the family, along with an expected 55 volunteers, plans to assemble the baskets at United Methodist Church in Pitman. Darrow said she can relate to children in the shelters because she was one of them once. Her family, having lost their home in a fire, spent some time in a shelter. Darrow said she is grateful to the volunteers who provided a safe haven for her, her sisters, and her mother. Angels of God Clothing Closet, started in June 2009, is run from a Pitman storefront. Clients with a referral letter from social services, a pastor, principal, or other organization can pick up clothing and other essentials. Pastor Jim Bolton of United Methodist said the church tries to support Angels of God however it can – whether by lending its facilities or spreading the word. He has nothing but praise for Darrow. Angels of God Clothing Closet will be accepting donations for the Easter baskets from 10 a.m. to 2 p.m. Saturday at 334 South Broadway in Pitman.